Panasonic has released details of the latest in its range of 3-way VRF Heat Recovery (BS) control boxes with multiple connection ports. These control boxes come with a ream of benefits to make both installation and pipe design easier and more efficient. The new BS control boxes are available with 4, 6 or 8 connection ports offering greater flexibility to installers when considering various factors on site, such as piping design and installation conditions. They also increase the efficiency and speed of installation by simplifying the process significantly. 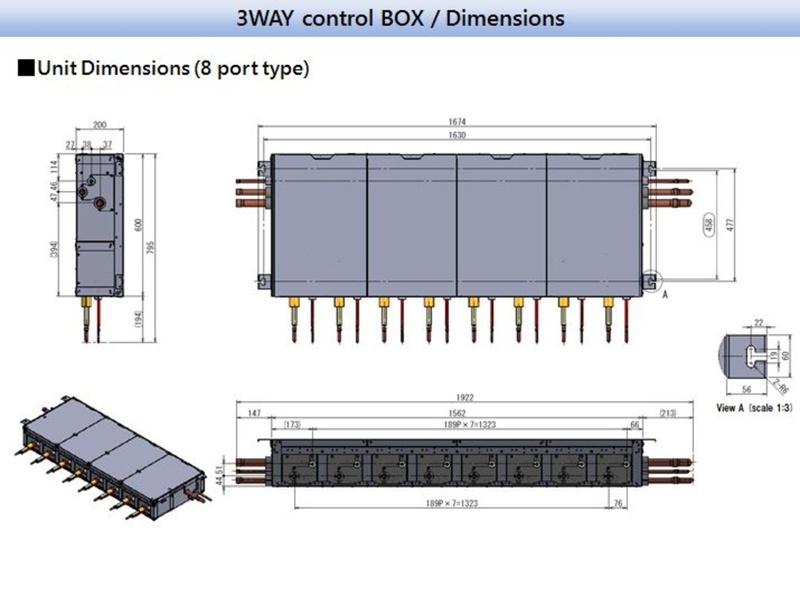 These new BS boxes will prove particularly useful for installations in projects where space for connecting several boxes is often limited. To give installers more flexibility in their system design and piping layout, the new control boxes come with connection tubes for the main refrigerant circuit lines on both sides of the unit. The new 3-way control box allows for multiple piping system designs incorporating different types of junctions. The 3-way control box can be installed after a distribution joint, before a T-branch and with a number of different control methods such as group controls, simultaneous operation under one port and group operation under one port.